Arid climates can be found on every continent. They range from hot and dry deserts that see almost no rain to semiarid scrub land where rain falls intermittently. Arid climates are not suitable for most life forms. Plants and animals that make their homes in arid climates have made special adaptations to the environment. The defining characteristic of an arid climate is a lack of moisture. The soil is dry, the air is dry, and yearly precipitation is very low. A variety of factors combine to steer storms and moisture away from arid regions. In some arid climates, evaporation rates exceed precipitation, leading to a net moisture loss. In the hottest of arid climates, rain may evaporate before it can reach the ground. On the other hand, a torrential downpour may bring a short burst of life. Arid climates such as the Sahara Desert can be hot all year round with no noticeable seasons. Or they can have hot summers and frigid winters, like the Gobi Desert in Tibet. The Gobi experiences winter temperatures well below freezing. Even the hottest deserts typically have cold nights, because there's little vegetation to retain the day's heat. A traveler exposed to a harsh, arid climate can suffer heatstroke during the day and hypothermia at night. The leeward or downwind slopes of high mountains are often home to arid climates. When mountains receive the moisture from incoming storm systems, precipitation is abundant on the windward side, leaving the leeward slopes dry. 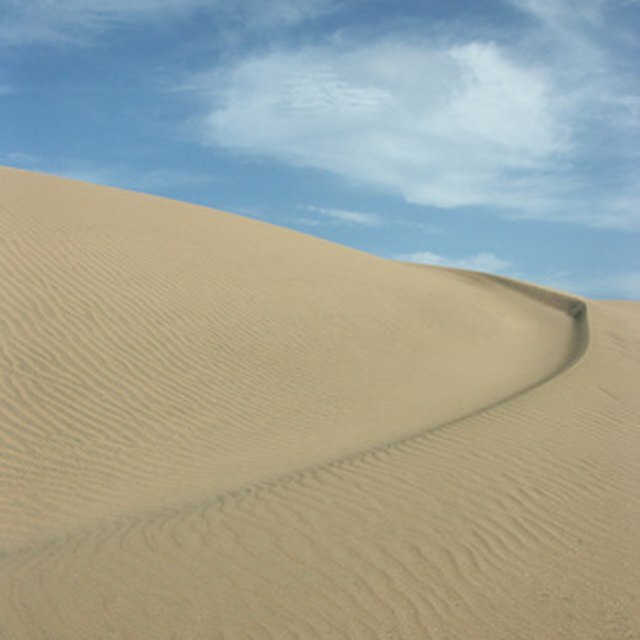 The Gobi Desert in Tibet is a prime example of this phenomenon. The massive peaks of the Himalayas force moisture from the rising air. From the Gobi Plateau, you can see beautiful snow-capped peaks, but rarely does rain fall. Most of the world's arid climates lie just north and south of the tropical rain forests of the equator. Mountain plateaus are another location where you might find an arid climate. The southwestern corner of the United States, for example, is quite dry and hot. While not technically desert, the continent of Antarctica qualifies as arid. Very little precipitation falls so far south, and all of the region's moisture is locked up in snow and ice. Patrick, Josh. "Characteristics of Arid Climates." Sciencing, https://sciencing.com/characteristics-arid-climates-8441465.html. 13 March 2018.